Mesut Ozil has become the first player to welcome Lucas Torreira to Arsenal after the midfielder completed his move to the Emirates on Tuesday afternoon. After weeks of speculation, Torreira finally arrived in north London over the weekend after deciding not to fly back to South America with the rest of the Uruguay squad following their exit from the World Cup. 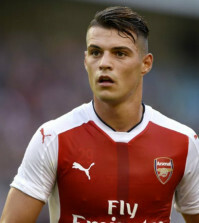 Instead, the 22-year-old flew to London to wrap-up his move to Arsenal having previous opted against undergoing his medical in Russia as he wanted to concentrate on representing his country. 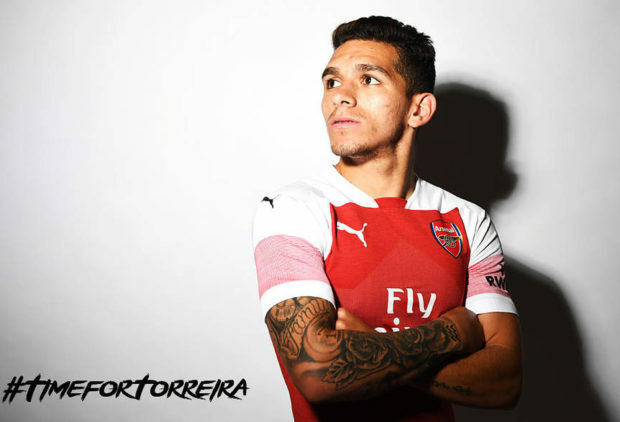 The formalities were finalised over the past 24 hours and Arsenal announced on the official website on Tuesday afternoon that Torreira had joined the club on a long-term contract. 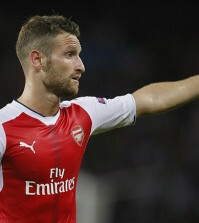 The fee wasn’t disclosed by the club but the Daily Mail claim the fee is around £25m and the defensive midfielder has chosen to wear the No.11 shirt next season. 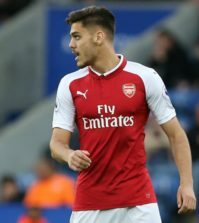 Torreira will now head off on a well-earned break before starting his pre-season preparations in early August but Ozil has already taken to Twitter to give his new team-mate a warm welcome to north London. Ozil will also report late for pre-season following his exploits at the World Cup but he may need some time to get over the disappointment in Russia as he’s been targetted for unfair criticism following Germany’s early exit.